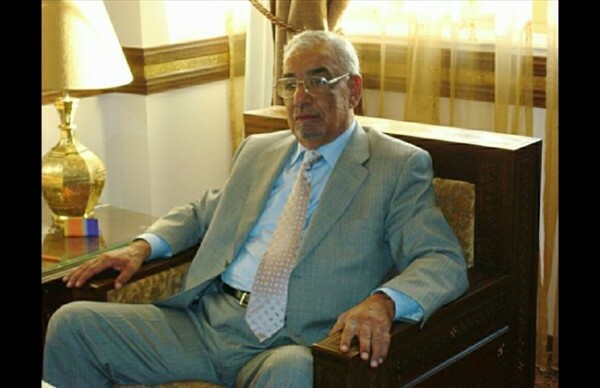 The founder of the Syrian-backed Arab Democratic Party, Ali Eid, has died in Syria on Friday and was buried in Lebanon on Saturday Lebanon’s National News Agency reported. LBCI TV said Eid, 75, passed away in the Syrian coastal city of Tartus, a stronghold of Syrian President Bashar Assad’s regime. NNA said Eid’s coffin arrived at his house in the Akkar town of Hikr al-Daheri on Syria’s border after being transferred from the Bassel Assad Hospital in Tartus where the ex-MP had been receiving treatment. Eid’s funeral was held Saturday in northern Lebanon at the Shrine of Sheikh Abdullah al-Dahri in Hikr al-Dahiri area on the banks of Nahr al-Kabir River along the border between Lebanon and Syria. The prayers were headed by the Alawite Council Sheikh head Assad Assi. The funeral was attended by Eid’s son Rifaat, who now heads the ADP, and other party officials. Mourners can offer their condolences Sunday and Friday at Eid’s house in the Lebanese neighborhood of Jabal Mohsen in the northern city of Tripoli and at his house in the port city of Tartous in Syria all next week. The two fugitives, Ali and Rifaat Eid had fled Lebanon to Syria after Lebanese security agencies kicked off a security plan in 2014 to restore stability in the northern city of Tripoli. They were wanted by the Lebanese judiciary over their alleged involvement in helping a suspect in the 2013 twin bombings that targeted Tripoli’s al-Salam and al-Taqwa mosques and left 45 people dead and over 500 wounded. A 2014 indictment had demanded the death penalty for Rifaat Eid and three senior Jabal Mohsen fighters. Eid’s pro-Damascus Arab Democratic Party, the main faction in Jabal Mohsen, participated in more than 20 rounds of deadly sectarian fighting with gunmen from the neighboring Bab al-Tabbaneh district between 2008 and 2014. Wonder how much he paid to have his gravesite opened and his body in a cardboard box placed in it? The Cost of Diggers was too much for a Tripoli Lady still waiting after 2 years.